Newcastle’s record signing Miguel Almiron has insisted he will not be weighed down by the pressure of becoming the club’s record transfer after a positive first press conference as a United player. The player secured a £21m move to the club last month and now looks poised to make his debut in Monday Night Football’s clash against Wolves. Asked about following in the footsteps of Alan Shearer and Michael Owen as he was unveiled at St James’ Park on Thursday afternoon, Almiron said: “First and foremost I see it as an honour. Almiron trained with his new team-mates for the first time on Wednesday and could make his debut at Wolves on Monday evening. A former Sunderland star has already described Almiron as an “animal” and asked if he is ready to play, he replied: “It’s been a hectic week, lots of things to sort out, but I feel more settled. “I’m very, very happy I can train daily. I’ve put in some decent work already on the training ground, which is something I needed. I physically feel good and it’s good to focus, working hard and learning the tactics. 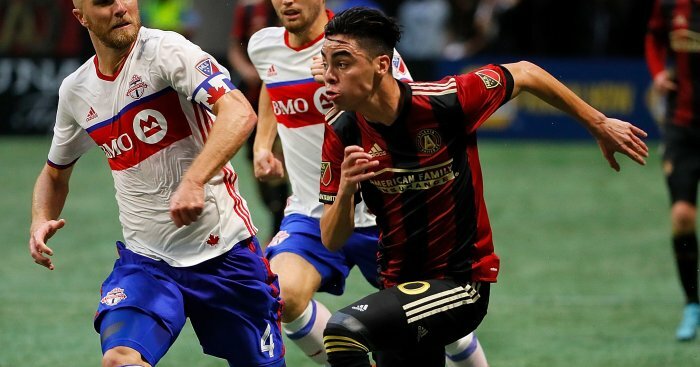 The post Almiron tells Newcastle what to expect as £21m star faces media appeared first on teamtalk.com.